In the United States, most renewable energy policy originates from state and local governments. 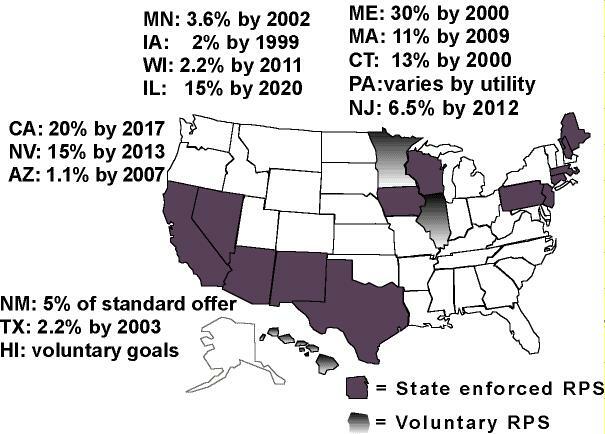 Over a dozen states have renewable portfolio standards (RPS), mandating that a percentage of total electricity purchases are derived from renewable resources. This creates a demand for renewable electricity. Also, it gives the suppliers the power to make decisions regarding R&D and investment.